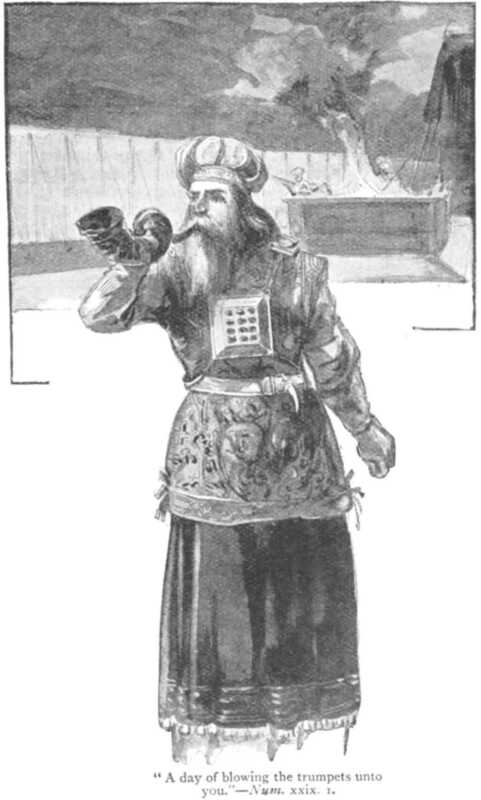 The day of blowing the horns is the day of His announcement when the spiritual harvest is complete where the level of maturation is reached readily to harvest your spiritual valuation that is produced from the time of planting the Seed of Life in your heart with the guidance of the Holy Spirit dwelling inside to understand the spiritual things that grow from the Word of Life. A day of blowing the horn is announced for each of you when your spiritual production is complete readily to harvest when your flesh is dying. It is a joy of your spiritual life when you depart from your dying flesh. On the Day of Trumpets: Announcement of Preparation of Harvest. The book of Revelation (chapters 8-11) speaks of the trumpets preparing for the Lamb of Righteousness and the reapers (angels/malakim) to come forth for the harvest to do the sort of the wheat and tares (the children of righteous and the children of wickedness). At 7th month, it is the completion of spiritual maturity ready for harvest (Kingdom of new heaven and new earth). The 7th full moon is also known as the Harvest Moon. It is how we gather the production harvested from the beginning of the lunar month (full moon) in order to celebrate the feast of Tabernacles, which is at the dark/empty moon (15th).